If you’re looking for a great way to enter text on your new iPad Pro, MacBook Air, and Mac mini, yet you don’t have a whole lot of money left after buying all three devices, The Satechi Aluminum Bluetooth Keyboard looks like a good option. The keyboard features enhanced scissor-switch keys and an extended keyboard layout at around half the price of the official Apple keyboard. The keyboard includes intuitive function hotkeys and multi-device Bluetooth connection, allowing switching between 3 devices with press of a button. At nearly half the cost ($79.99) of Apple’s keyboard, it still provides much of the same functionality while also matching the Apple aesthetic with available colors in Silver, Space Gray, Gold and Rose Gold. 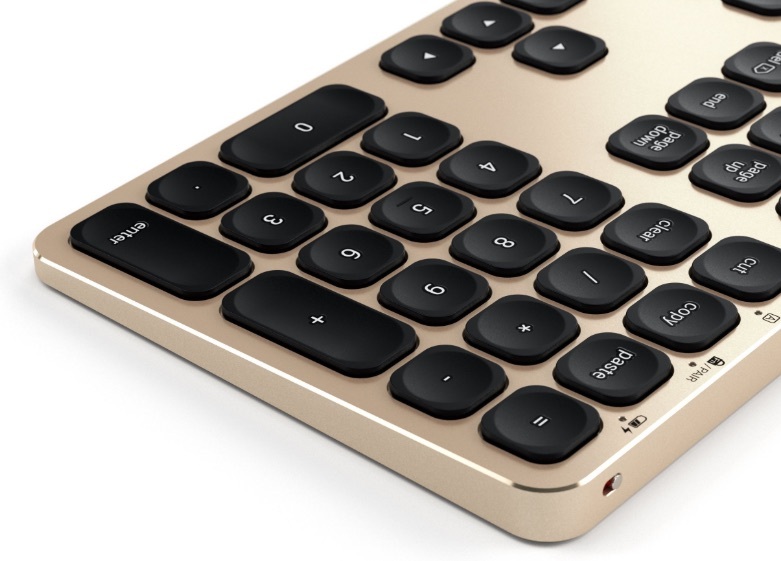 The Satechi’s Aluminum Bluetooth Keyboard is just $79.99 and is available in Silver, Space Gray, Gold and Rose Gold on the Satechi website and at Amazon. We hope to be reviewing this keyboard in just a few weeks, we’ll keep you posted.